As a university student, I take budgeting pretty seriously. While I was fortunate enough to receive a four-year scholarship for my undergraduate study, I still want to make sure I have an emergency fund, and that I am spending responsibly. Particularly around the holidays, my spending can get a little out of control as I go on the hunt for Christmas presents for family and friends, but I have a holiday gift guide/budget plan that minimizes overspending and maximizes happiness. Each month, any incoming money is divided into separate accounts for living, saving, and emergency. It is important for me to set an overall spending limit of my savings on presents, as well as price caps on gifts for each person so I know going in how much I am going to spend. This one is so hard for me, especially around the holidays when the Christmas cups come out and my favourite drink, the peppermint mocha, is officially back, but this is an easy cost cutter. While I am by no means a daily drink purchaser, I still think that saving money in little ways like this can amount to big savings at the end of the year. That being said, I do treat myself to the odd one though, and maybe even a frosted snowman cookie. Something new I have been doing the past few Christmases is gifting someone an experience like a travel voucher for a weekend getaway, a certificate for an adventure like camping or zipining, or even something simple like a dinner out together. This really helps with coming up with gift ideas, plus I find the memories last longer than giving someone an item that won’t last as long. The past month or so, I have fallen in love with Pinterest and all its Christmas knitting patterns. One in particular that I think is just adorable is for little stocking christmas tree decorations. I have made about 7 so far in various colours and patterns and I am planning to give them to my family members, particularly my grandparents who, at ages 86 and 87 don’t need clutter but would love something sentimental. While I am not much of a gardener myself, people like my grandparents gift jam made from raspberries they grew themselves and small spice plants, and other people I know gift handmade candles from backyard bee hive wax. I think this is such a nice way to gift something special and useful while not having to go out and battle the shopping malls. Instead of trying to think of unique gift ideas for people, think about what they use on a daily basis like a particular beauty product and gift that. Some might say this is unimaginative, but it is guaranteed that the gift will be loved, appreciated, and used. Another great gift idea is purchasing something that you know someone would like but would never buy for themselves. These splurge purchases make such nice surprises and show that you were paying attention, plus stores usually have really good sales going on so you can scoop up splurges at fractions of the original price. I remember as a kid thinking that a group present was just a way for people to get off the hook for finding someone a unique present, but really it is genius. Luckily my grandparents don’t have Internet so I don’t have to worry about ruining the surprise for my grandfather, but my mother and grandmother and I all pitched in and bought him a DVD recorder that he can use to convert his 800 or so VHS tapes to DVD format. While this item was more pricy and well over the price cap the family set for presents, pooling our money and getting him a nifty gift like this that he will get so much use out of is a great way to save money and give a gift someone will love. 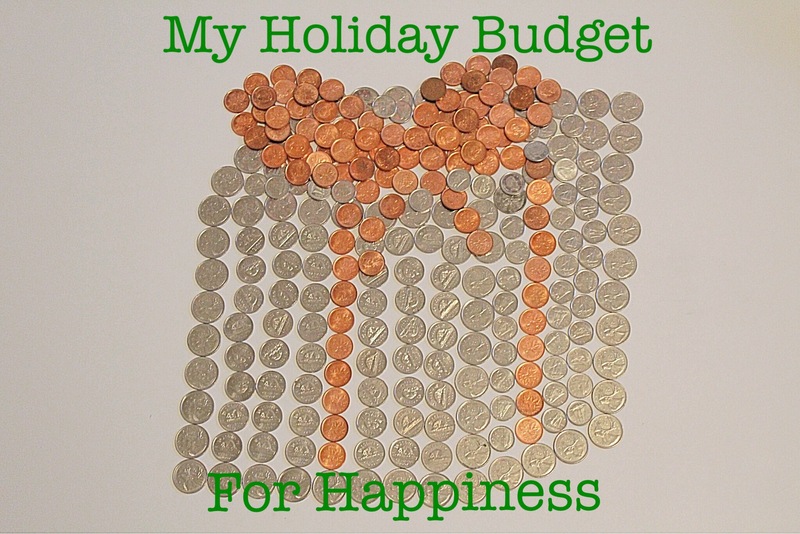 What are some ways that you budget for the holidays while maximizing happiness??? It’s Beginning to Look a Lot Like Christmas . . .